Trying something you've never done before can be intimidating! That's why at Stretch we aim to make your first step into yoga as easy and fun as possible. 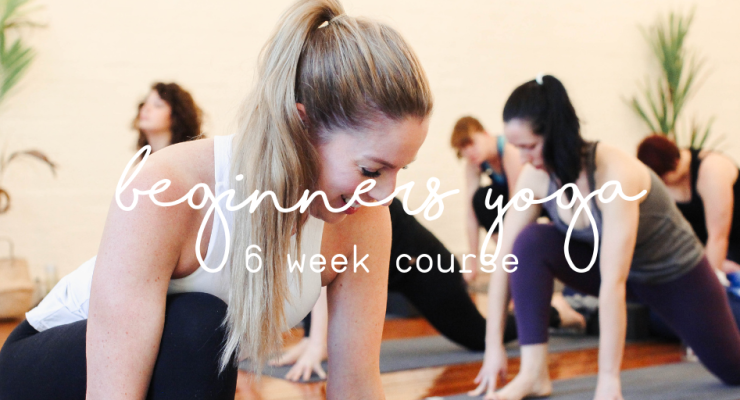 Our Beginners Yoga 6 Week Course is the perfect introduction to the world of yoga, and our teachers take each class step by step to ensure you feel confident in many of the most common yoga poses with adjustments to suit your body. Fantastic for those who have never tried yoga before, or those wishing to deepen their knowledge and confidence and refine their poses. The course is Hatha Yoga based and focuses on the history and philosophy of yoga, breathing, meditation and alignment - ensuring that you have the confidence to step into any yoga class upon completion! Our classes are kept small to ensure that you get all the individual attention you need and plenty of opportunities to ask questions as you go along. If you miss a week, you can always make it up in the next intake or the parallel course. The Beginners Yoga Course structure includes: Week 1: Introduction to Yoga & Key Poses, Week 2: Pranayama, Bandhas, Core and Twists, Week 3: Mindfulness, Meditation & Balance, Week 4: Hips & Heart Openers, Week 5: Surya Namaskar and Standing Poses, Week 6: Putting it all together and where to from here! For more information or if you have any questions about whether this course is right for you, email info@stretchyoga.com.au, call us at the studio on 07 3210 6886 or duck in to say hi if you're in the neighbourhood (before classes works best!)! We allow strictly one make-up class per course. All courses are non-refundable and non-transferable to different dates.